An unbeatable selection of brews isn’t the only thing Columbia has to offer. Wine connoisseurs can get their fill of delicious, unique and exotic tastes with the area’s numerous local wine experiences. Venture to the community's seasonal events or year-round restaurants and dive into extensive menus of whites, reds and roses. You can even look out for Lake Carolina's own Wine & Food Festival, hosted each fall to raise money for local children's education and welfare. Below are a few pit-stops vital for any wine enthusiast. - 116 Espresso & Wine Bar Get the best of both worlds at this unique cafe that serves brunch and dinner! While 116 offers an array of delicious breakfast foods and coffee, guests can stop by in the later hours for a large selection of red, white and sparkling wines. Yum! - Wine Tasting at Riverbanks Zoo & Botanical Garden Support Riverbank’s commitment to conservation at this local wine tasting! Sample domestic and imported flavors while listening to live jazz. All proceeds go to aiding the organization’s animals, plants and education programs. - Barre3 & Wine Tasting Who said wine tasting had to be done during a fancy night on the town? Get active with an hour-long barre class and then wind down with wine flights and a scenic view of the Mercer House Estate Winery vineyard. Just bring a yoga mat and a craving for ‘fine-wining’. - Travinia Italian Kitchen & Wine Bar This award-winning, contemporary hangout offers an extensive collection from world-class vineyards. Along with exquisite, Italian fine-dining, choose from “rich and lush”, “light and crisp”, short, sweet and bubbly” or tastefully “enticing reds”. Plus, bottles are 25% off every Tuesday! - Cellar on Greene This quaint hole-in-the-wall has tons of charm. Open as a wine retail store during the day, guests can choose from the shop's hearty reds, sweet citrus-y whites and dozens of other choices. During its hours of operation as a wine bar, Cellar on the Greene is the perfect place for a date night, girls night or night on the town with friends. Sample menu favorites with a wine flight or grab a bottle for the table to share! - For more information on how to make Columbia YOUR home, check out Lake Carolina’s new homes for sale. 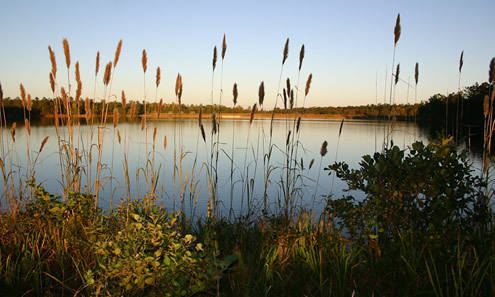 Wildlife flourishes and thrives just 30 minutes from Lake Carolina’s 1850-acre development. Situated on 500 Wildlife Parkway, the award-winning Riverbanks Zoo & Gardens remains one of Columbia’s most popular family destinations. Check out five reasons to visit this awesome, educational and environmentally-friendly hotspot. It’s the perfect place for residents old and new to gather family and friends. 2. There’s plenty of fun activities for kids. Kids can explore the wondrous, newly opened Waterfall Junction! This three-acre experience offers an interactive children’s garden, splash park, dino dig, super cool tree houses and more! In addition to visiting the Riverbanks residents at the zoo, kids can try their hand at feeding the animals (giraffes, lorikeets and koalas) and can hitch a train ride, pony ride or “endangered species carousel” ride. Educational day camps are also available. That’s only the beginning of the fun! 3. It’s more than a zoo. Whether you’re strolling through the botanical gardens, braving the zoo’s adventure tours or ziplining through the Riverbank’s scenic property, this place can entertain guests of any age. Ziplining, one of the most thrilling experiences the organization has to offer, allows daredevils to choose from gliding above the river, overlooking beautiful sights atop a canopy or taking on the luminous “moonlight zip” at nighttime! 4. They host tons of awesome seasonal events. Little ones can get into the spooky spirit with the annual “Boo at the Zoo” Halloween event, while an older crowd can indulge in “Brew at the Zoo” or wine tasting! Holiday happenings and seasonal social events are abundant at Riverbanks. Check out the upcoming Mother’s Day Brunch, complete with a scenic dining experience and a delicious menu. 5. The organization is committed to the 'conservation and care' of wildlife. This zoo isn’t just committed to caring for their animals, they’re dedicated to protecting our earth and all its natural inhabitants. With animal enrichment programs in place, conservation initiatives, a drive to ‘go green’ and a promise to support endangered species, Riverbanks is a leading organization for good practices. How awesome is this? ----- Love what Columbia has to offer? Make it your permanent city by exploring Lake Carolina’s beautiful, affordable new homes. This award-winning master-planned community offers numerous social events, lots of community amenities and impeccable new home construction. The City of Columbia welcomes spring with a blossoming schedule of social events. This April, embrace the warm weather and experience a plethora of outdoor markets, live music festivals, fantastic food and fun activities for the little ones. Check out some local highlights below and access a full spring schedule by clicking here. Arts & Culture Experience Columbia’s diverse fine arts with a three-day gallery crawl of awesome art and entertainment (Artista Vista), or take a trip back to old 1930’s New York in Broadway in Columbia’s run of 42nd Street. Music-lovers can get their fill of bluegrass music at the 10th Annual Haynes Bluegrass Festival, while space-geeks can hear their favorite Si-Fi movies played by the renowned South Carolina Philharmonic (SC Philharmonic Presents "Sci-Fi in Hi-Fi")! Delicious Eats The April Harvest Dinner, featuring winemaker Jerry Sass of Sass Winery, appeals to the wine-obsessed and foodies alike; indulge in an upscale dining experience with authentic, delicious wine samplings. If it’s a more fun vibe you’re looking for, check out the Alton Brown Live: Eat Your Science show, perfect for children of all ages! It’s a unique blend of science, food and entertainment. Fun for Kids On one special day, kids can receive 12-cent admission to the EdVenture Children’s Museum! Once their day of learning is done, dedicated Frozen fans can meet their favorite characters from the film during an epic ice spectacular (Disney On Ice: Frozen)! Looking to make Columbia, SC your home? Check out Lake Carolina’s gorgeous new homes!